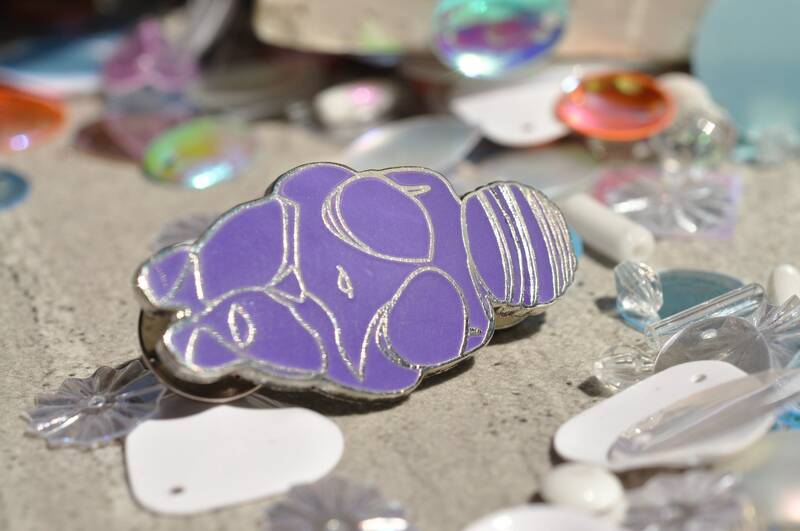 To celebrate Salad Days Pins' 2-Year Anniversary, we are excited to present our best-selling pin, the Venus of Willendorf, in a glow-in-the-dark ultraviolet variant. 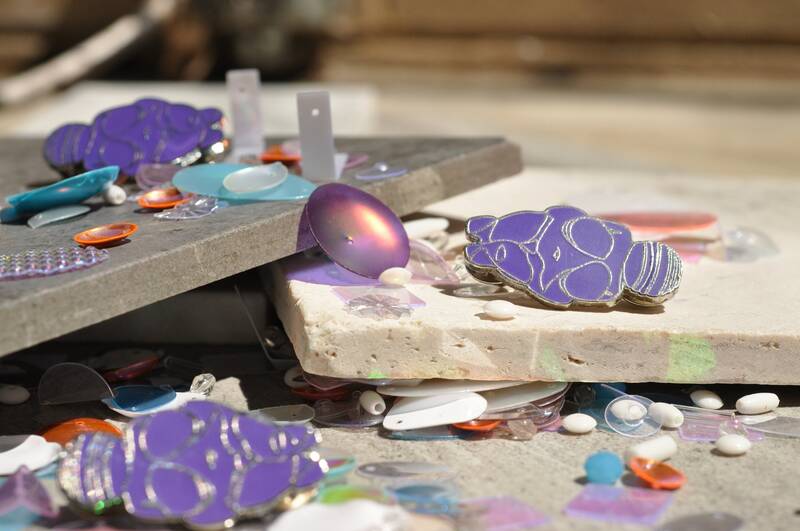 Venus is glowing purple with silver lines and a metal butterfly-clasp backing. Every pin is numbered and this edition is limited to two hundred piNS. High quality hard enamel pin depicting the ultimate in enviable zaftig womanhood, the Venus of Willendorf herself.